He cited the discontent and unease of the Muslims in the south as one of the main reason. Tell me, who would be happy if one’s country declared a religion other than your own as the official religion? Of course, you may not care if religion is not your cup of tea. Is the writer so sure that the Muslims there have no other more pressing priorities than to worry about the issue of making Buddhism the State’s official religion? Or is the issue just been blown out of proportion by interest groups including other religious organisations? Or maybe, it is to a large extend cause by those who are out to sow discord and discontent among the Muslim populace for their own benefit and agendas? Why is the writer and those cites in the article so pessimistic about the whole issue? The Cambodian declare Buddhism as their official religion, is there any upheaval in the country to date? Look South at Malaysia, there is a large population of non-Muslim in the country and Islam is the official religion. Do we see any untoward happenings or upheaval there by the non-Muslims? There will always be different interest groups with their agendas and also wide range of people with differing views from the extremists, the moderates, to the sceptics and what have you. One can never satisfy all of them, instead, it would be better to consider and implement policies that are best for the majority of the population and the country taking into consideration also the needs of the minority. By the way, the 3rd Noble Truth – the cessation of suffering, is the final goal that each Buddhist individual should hope to attain in the Theravada tradition. It has little to do with establishing a national religion. Try quoting the 4th Noble Truth - ways to the cessation of suffering instead. It is more appropriate in your context. Dubus pointed out that Article 67 of the Charter is disturbing because of the special status it gives to Buddhism. It looks like it is infringing on the human rights of her citizens on freedom of expression and religious beliefs. But one does not need to look far to see the benefit of the Article. Look at the Middle Eastern countries and the wars that is going on there. Note that the whole area is dominated by Muslims and yet they fighting and killing each other. Other than trying to dominant each other, another reason is due to the different in the interpretation of their holy books. It is compounded by the fact that what is interpreted becomes a commandment of God. What you do in the name of God can be totally merciless as after an atrocious act is committed one can still go to sleep without having the slightest tint of guilt about one’s action. That is the problem with a set of beliefs that can be interpreted to suit each individual needs, wants and/or beliefs as they will always consider their interpretation as the only right one in the name of God. Though Buddhism does not have such commandments, it is best that there are sufficient safeguards in place to ensure that such situation does develop and occur in the future. 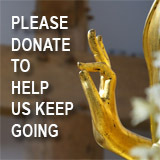 Besides, the vast majority of Buddhists in Thailand are Theravadins. It is stated in the article that religious beliefs are not knowledge. It is oftentimes quoted that ‘Knowledge’ is ‘justified true belief’. For a belief to be considered as true knowledge, it must have some justification. A belief that is true but which we do not have any evidence to support would not be described as knowledge. 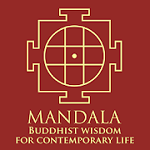 So, if I said I have realised ‘Non-Self’, one of the ‘3 marks of existence’ of the Buddha’s fundamental teachings; that realisation which is of a highly personal nature would not be considered as a form of knowledge. To a Buddhist, believes in the Buddha’s teachings is a knowledge in itself as it leads one to take some forms of actions. If a belief is a commandment that make one decide to go, load a car full of explosives and blow it up in a crowded place to kill or cause harm to the most number of sentient beings than, it is certainly a misleading and an undesirable form of knowledge. It is faith initially that one must have or develop that allows one to embrace the teachings of a particular religion as the only truth. This condition is even more critically required in faith based religions. In Buddhism, basing on faith first and later arriving on right views, one would take the necessary actions to achieved the goal that the founder themselves have reached. As far as Buddhist logic goes, ‘All successful human action is necessarily preceded by right knowledge’. It follows that Buddhists would consider all the Buddha’s fundamental teachings as true and as a source of right valid knowledge. Furthermore, the Buddha teaches that - ‘One's own preferences are not to be followed simply because they seem logical or resonate with one's feelings. Instead, any view or belief must be tested by the results it yields when put into practice; and — to guard against the possibility of any bias or limitations in one's understanding of those results — they must further be checked against the experience of people who are wise. This is stated in Thanissaro Bhikkhu translation note on ‘The Buddha’s Charter of Fee Inquiry in the Kamala Sutta – AN 3.65’. 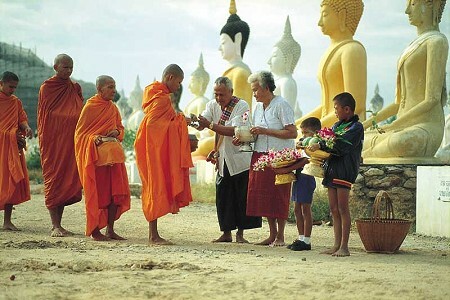 Buddhism has always been part and parcel and a way of life in Thai society. It has been used as a political tool by generations of politicians. It is especially so with the military and ex-military personnel turn politicians. It is certainly a non-issue about it going down “the slope of nationalism and politicization” whether it becomes a national religion or not. The teachings of the Theravada form of Buddhism is the most fundamental form of Buddhism that can be since the formation of the Thai forest monastic community. What form of conservative version of Buddhism can it become next? It is just an unnecessary speculation to put worries and fear in the politicians so that they will change the constitutions to suit the needs and wants of interest groups and other religious organisations. Suraphot has propose the secularization of Buddhism in Thailand. He should take a look at Nepal now. Hinduism was its official religion until the Communist leadership decide to change it into a secular state. What happens and is happening in the country is that, there was strikes in the country by Hindus. India, a majority Hindu nation than decide to put an embargo on her exports especially fuel oil to Nepal. It causes a great deal of suffering to the peoples then. It also gives such good opportunities for other religious organisations such as the Christian to move in and convert whole villages to their Faith. It is a poor nation and it was an easy task to convert whole villagers to their beliefs. Just a buffalo or a few sheep or goats here and there and pronto, you have a flock of ready make new converts. And so says I, even if I am a not a Thai, in the interest of the Religion – Let’s Make Buddhism as the National Religion there!